Last Spring, over a period of one month and two days, the Columbus area was host to four TEDx events: One at a prison, another at a university, yet another at a research institute, and the last at a high school. What’s going on here? TEDx is growing—clearly—though not just up in numbers but out into diverse and interesting terrains. Glancing in my review mirror at the huge red TEDx sign taking up the whole of my backseat, it was finally real: I was hosting a TEDx event. Me . . . a 17-year-old . . . a high school senior at The Wellington School . . . I was bringing together an event that had to embody the spirit of TEDx and follow all of their rules. What had I gotten myself into? 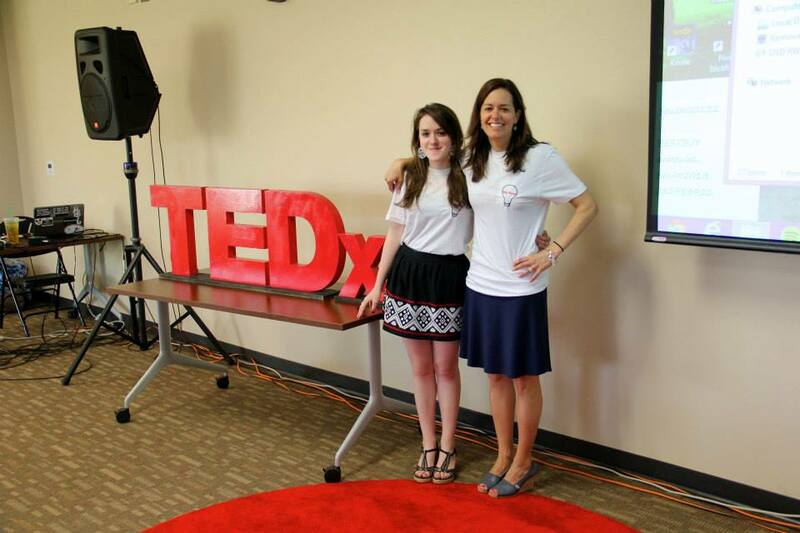 You might be wondering, too, how a high school senior comes to be hosting a TEDx event. To tell you, I’ll have to back up to October of last year. That’s when I attended my first ever TEDx event, TEDxColumbus. To be perfectly honest, I hadn’t even heard of TED before this, but after spending all day at TEDxColumbus, I fell in love. I loved the presenters and performers and meeting new people, but the main thing I loved was the concept of TEDx. I loved, and still love, the whole idea of bringing people together to share in the spread of ideas. I wanted to bring that to my school. I wanted the Wellington community to have the same experience I had and to feel that sense of being part of something bigger. So with this desire in hand (and heart) I walked up to TEDxColumbus organizer Ruth Milligan and explained that I wanted to put on my own TEDx event. She was excited about the prospect and even offered to help. After some thinking, I figured out how I would do it: My SIP. That’s short for Senior Independent Project. Each senior at The Wellington School must do one. Not graded, it’s more of a pass or fail type of project, which is why most seniors do something like learn to play guitar or camp for a week. My SIP would be different; I would host a TEDx event. As November came and went, I got permission from Wellington, found an advisor, and applied for my TEDx license. Winter break flew by with still no word about my license, but I had TEDx fever and didn’t want to wait any longer. I figured out a theme, Big Ideas, and decided to start finding presenters. After a ton of announcements, posts on my school’s websites, and a bit of coercing on my part, people started getting interested—not hoards of people, but enough. As January turned into February, and February inched towards March, I started to panic slightly. I had already done so much work in planning for the event, but I still technically wasn’t a licensed TEDx event holder. It was Ruth who helped me out. 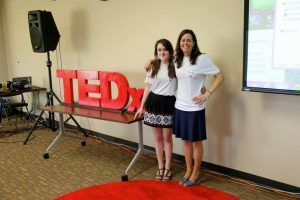 Thankfully, she helped get me in contact with TED to talk about my license and after quite a few emails and a handful of phone calls I was lucky enough to get one—for a TEDxYouth event. While I hadn’t expected the youth label, after reading through the TED organizers manual and talking with the people at TED, I realized it was the right fit. The audience, after all, would be the juniors and seniors at my high school. By the time I had my speakers and presenters all lined up, it was a diverse group. I had eight students, seven from high school and one from middle school; two teachers; my head of school; an alumnus, a parent of a current student, and a parent of alumni. I had prepared a five-page speaker packet to give my presenters an idea of the rules they needed to follow and had sat down with each speaker multiple times. Their presentations were shaping up quite nicely. Fast forward to the beginning of May, the month of my TEDx event. It was crunch time for me, but step-by-step everything had slowly come together and the event looked like it might just work out. One week before the event I had programs in hand (folding 150 trifold programs takes a lot more time than one would imagine), a successful tech dress rehearsal, and t-shirts and food on order. A few things had me pulling my hair out, but overall everything was sort of sailing smoothly. That was, until the night before the event. Less than a day to go and the dress rehearsal was a near disaster. With a faulty slide clicker and half my presenters unable to attend, I was near my wits end. But that was only the start of it. One of my presenters emailed me that night with a revised outline of his talk. It was completely different from the original and it broke quite a few rules set down in the TEDx organizers manual. It was also inappropriate for a student audience. I had no choice; there was no possible way I could show his talk, I had to cut him. It was a little more than 12 hours before the start of the event and if that wasn’t enough to deal with, I also received word that the custom t-shirts I had ordered hadn’t even shipped yet. From fixing the schedule, to reprinting and folding all 150 programs, to buying a printer (thankfully I had a received some funding from Wellington) and printing homemade t-shirts, it was a long night, but everything got done. The morning of May 15, 2013 finally arrived, and from 8:30-12:30 The Wellington School flourished with ideas and discussions about such things as walking along the Camino de Santiago in Spain, creating a small business, failing successfully, being an ant, following your dream, being true to your school, childhood obesity, the mis-measurement of students, and the ways in which technology is making people simpler. The hours I put in, the late nights working on power points, the thousand emails to presenters, and the frantic phone calls trying to figure out just how to do everything, all while balancing schoolwork, college applications, and my part-time job: It was all worth it. And the help and support of others was not given in vain. 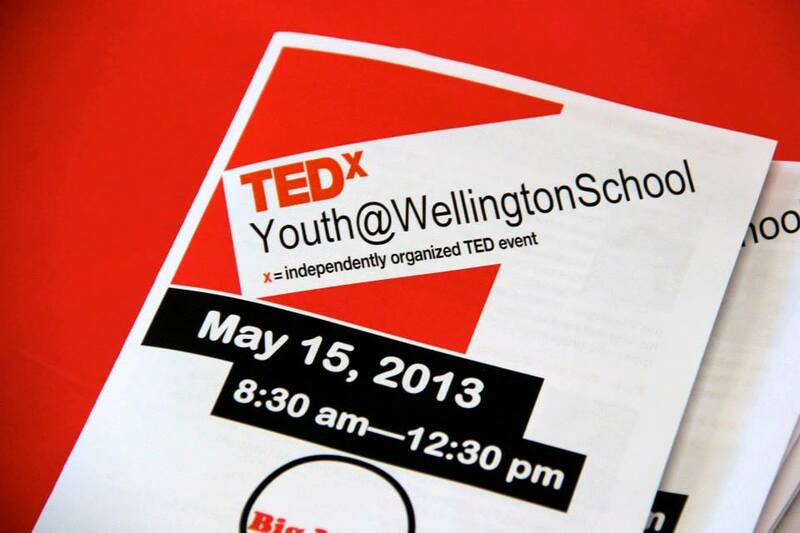 With ten speakers, three performances, plus three TED videos, TEDxYouth@WellingtonSchool was a success. Of course, there are things I would have tweaked or changed if I had a little more experience with TEDx events, and it certainly was no TEDxColumbus. 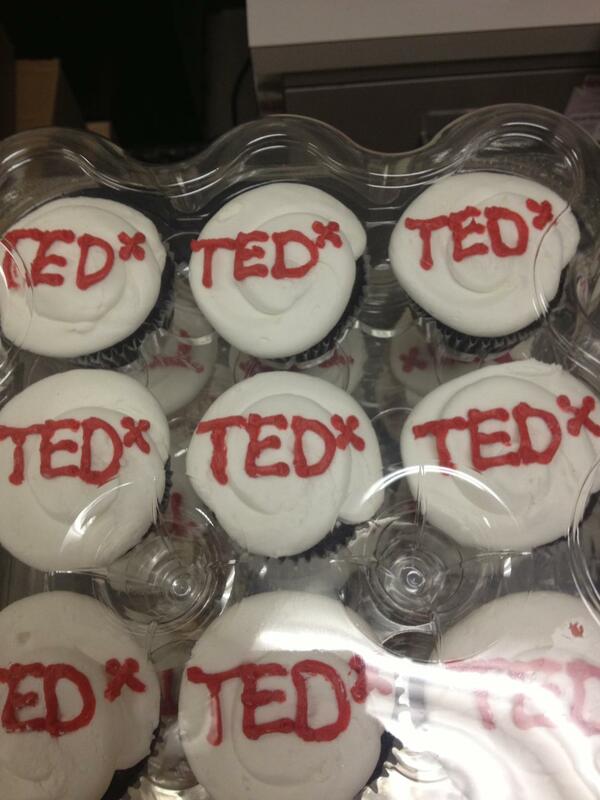 But for a high school girl’s first time hosting a TEDx event, I was more than content with the result. My little meager event brought smiles and laughter to my classmates, and gave them things to think about. It opened most of them up to the world of TEDx, and I believe that some of them experienced that same rush of being part of something bigger than themselves. 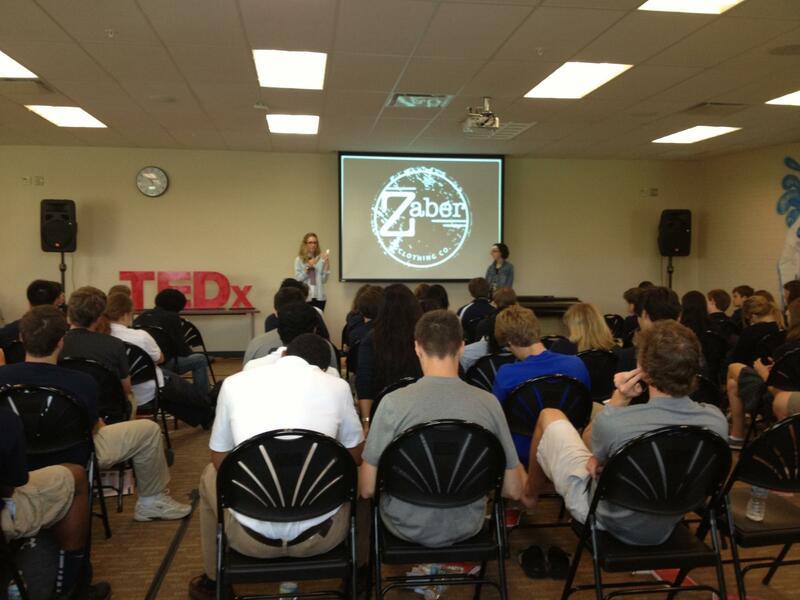 TEDxYouth@WellingtonSchool was basically my life for half of my senior year. I am proud of the result. It was an unbelievable experience and process, even with all the stress, and I couldn’t have asked for a better way to end my high school career then with TED. Alexandria Armeni is a recent graduate of the Wellington School. In the fall, she will begin her first year at the Ohio State University in the honors program, where she plans to study zoology with a minor in French.